View Cart "Abductions – Encounters With Extraterrestrials: Edith Fiore" was successfully added to your cart. A selection of shorts. In this volume: First Love, First Fear; Starcrossed; Assassins of Air; Parks of Rest and Culture; The Water Sculptor; Rope of Glass; Interpose; The History Machine; The Cliometricon; Stance of Splendour; Wayside World; The Monadic Universe; The Word Sweep. 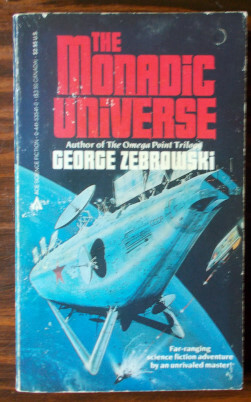 Author: George Zebrowski. Category: Sci-Fi/UFO. Tags: Good for its age, Paperback, Slight edgewear, Slight spine crease, Tightly bound and clean within.